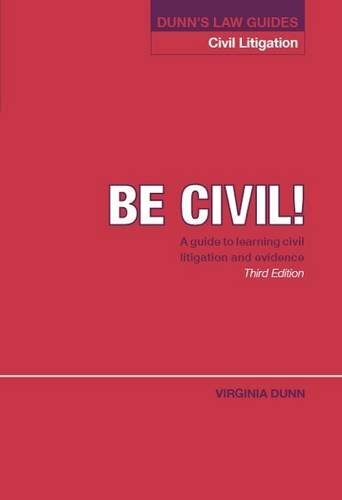 The third edition of Be Civil! reflects two important sets of amendments: those made to the Civil Procedure Rules in April 2015 and those made to the Bar's Centrally Set Examination Syllabus and Curriculum in June 2015. This book remains an ideal text for students, especially those on the Bar Professional Training Course.